We're making your life good, smart & more awesome with home automation products. We believe home automation is not science but an art. We are in automation game since 2015 and we know exactly how a modern & smart home works. Our products are designed with cutting edge technology and simplicity in mind and specially for Pakistani consumer market. 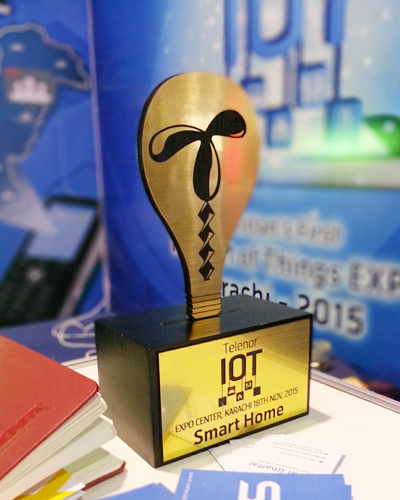 Our team is the winner of national IoT Award, winner of Mobile App Awards and selected by Facebook for FbStart program. Website underdevelopment, please check back later.